The Senate on Wednesday is expected to easily pass legislation to give veterans the option to seek private-sector medical care when the Department of Veterans Affairs is unable to provide a patient with adequate or timely health services, Sen. Johnny Isakson (R., Ga.) said Tuesday. Isakson, who chairs the Senate Veterans Affairs Committee, said President Donald Trump will sign the measure by the end of the week, codifying it into law just days before Memorial Day. The bill, called the VA Mission Act, sailed through the House last week in a 347-70 vote. "I'm delighted to say that a few days before the celebration of Memorial Day we're going to pass through the United States Senate, and the president is going to sign later this week, the VA Mission bill, which is the final piece of the mosaic we started two years ago to put together to fix the veterans healthcare service system—make it more accountable, make it relative to our veterans, and make sure we use the private sector as a force multiplier to deliver health services to our veterans at their choice," Isakson told reporters during a news conference. "The veterans, in consult with their primary care VA doctor, will be able to choose the doctor of their choice and the service of their choice, whether through the VA or delivered in the private sector, based on quality, accessibility, availability, and the choice of the veteran." The Senate on Tuesday voted 91-4 on cloture to end debate and proceed to a final vote on the $52 billion package, which will expand outside medical care options for veterans, increase stipends for veteran caregivers, and streamline community care programs to cut waste. It also strikes arbitrary distance and time restrictions on a veterans' ability to seek private-sector care. 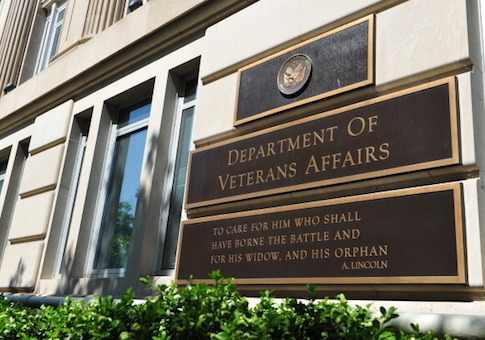 The bill authorizes $5.2 billion to the Veterans Choice Program, which is expected to run out of funding by the end of the month, disrupting care for thousands of patients. Congress created the Choice program in response to a 2014 scandal over manipulated wait times at federal facilities that led to the deaths of dozens of veterans. Rep. Phil Roe (R., Tenn.), who chairs the House Veterans Affairs Committee, said he is "thrilled" the Senate will vote on the bill this week after the overwhelming support the measure garnered in the House. "The VA Mission Act will ensure veterans have timely access to the quality care they have earned, and I look forward to seeing our president sign this bill into law," Roe told the Washington Free Beacon. Critics of the legislation have said the package is aimed toward eventual privatization of the VA health care system—a charge Roe rejects. The bill garnered widespread support among 40 different veterans advocacy groups. Dan Caldwell, the executive director of Concerned Veterans for America, said the bill marks a "big step toward accomplishing President Trump's goal of giving veterans full health care choice through the VA."
"Over the last four years, the VA has demonstrated that it cannot care for veterans by itself and that veterans need to have private sector healthcare options," Caldwell said. "In order to incentivize the VA to better perform and to ensure that veterans have the ability to choose their healthcare provider, it's absolutely necessary that the VA give veterans more healthcare choices."